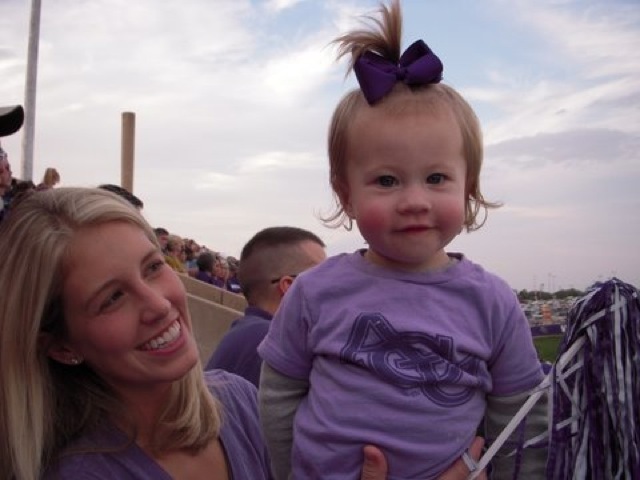 Me and Ella spent this last weekend at ACU with my family. 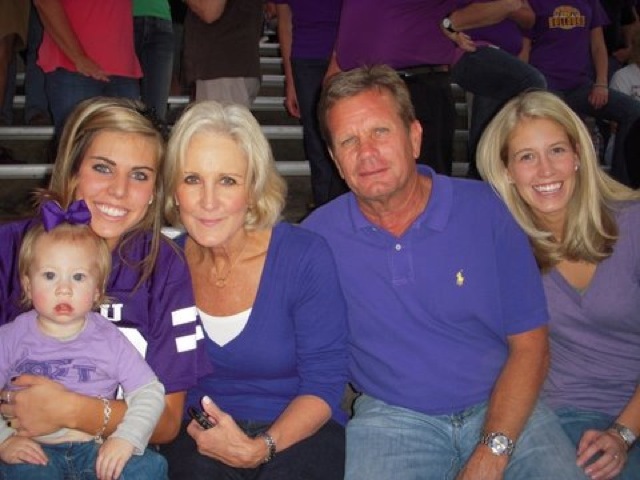 It was freshman follies weekend, which is this sing/dance kind of thing that the freshman put on for parents weekend. I wasn't sure how Ella would do and was already prepared ahead of time to leave early. Well Ella ended up being perfect and watching freshman follies with her was one of my favorite things! She absolutely LOVED it! I know that most kids Ella's age would get excited when they heard a familiar nursery rhyme, but Ella likes music with a good dancing beat to it, so she gets excited when she hears something from beyonce, jackson 5, or mylie cyrus. All of the songs that the freshman danced and sang to where all of Ella's favs. She stole the show when single ladies came on! 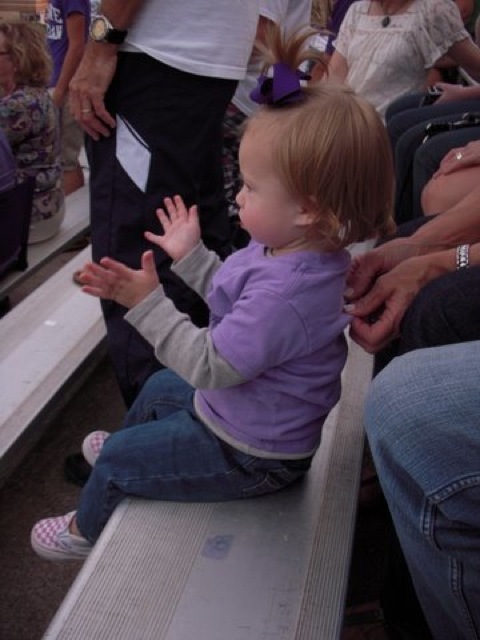 She knows the flipping the hand back and forth move and all! I wish so bad I had gotten it on video but it was too dark. 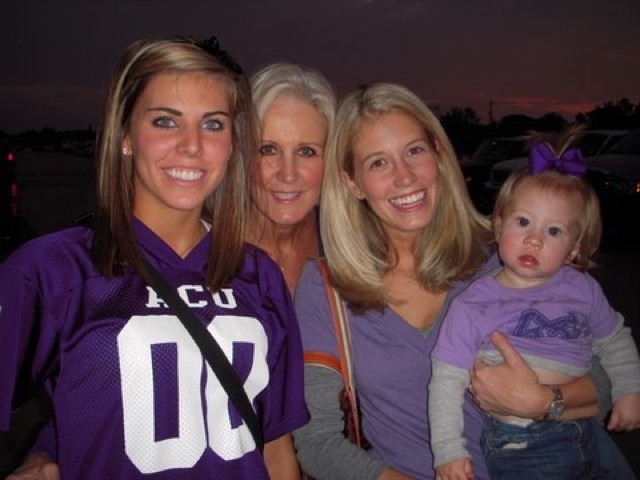 We had such a fun weekend in Abilene. 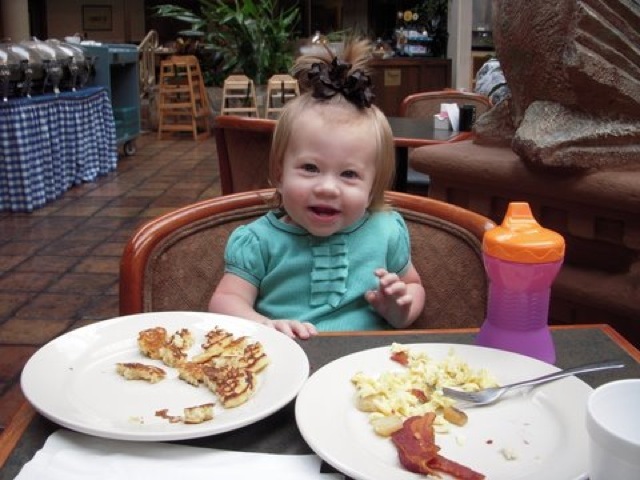 Ella loved the big hotel breakfast every morning and she loved cheering on the ACU football team. While Ella napped in the hotel me and my mom made her halloween costume! More to come on that later along with some pics!